Fans of Game of Thrones - as well as the book series on which the show is based, A Song of Ice and Fire by George R. R. Martin - know full well that any one of their favorite characters could be killed off at any moment. The penultimate episode of season 1 saw the shocking demise of Eddard Stark (Sean Bean), and since then it appeared any character was fair game, no matter how integral they seemed to the plot of the show. The season 5 finale continued to drive home that point with the apparent demise of Jon Snow (Kit Harington) by the hands and swords of his brothers in the Night's Watch. However, as soon as the credits rolled on "Mother's Mercy," viewers began speculating if the Lord Commander was truly dead for good. Now, costar Emilia Clarke, who plays the Mother of Dragons Daenerys Targaryen, has added her own speculation to the mix of theories. In an interview with MTV News, Clarke admitted that she doesn't know Jon's fate on the show because showrunners, David Benioff and Dan Weiss, have not told her. According to the actress, this is to give her plausible deniability since they know she can't lie very well: "I can, with all honesty, say I have no idea what's happening, I have no idea what's going to happen." However, when pushed to speculate about whether Jon would come back to Game of Thrones, Clarke gave him a 50-50 chance, saying, "I mean, there's some helpful people there who could bring him back to life." The actress is likely referring to Melissandre, who returned to Castle Black in the finale episode; the priestess of the Lord of Light is instrumental to one fan theory, which claims she may have the ability to revive Jon Snow. 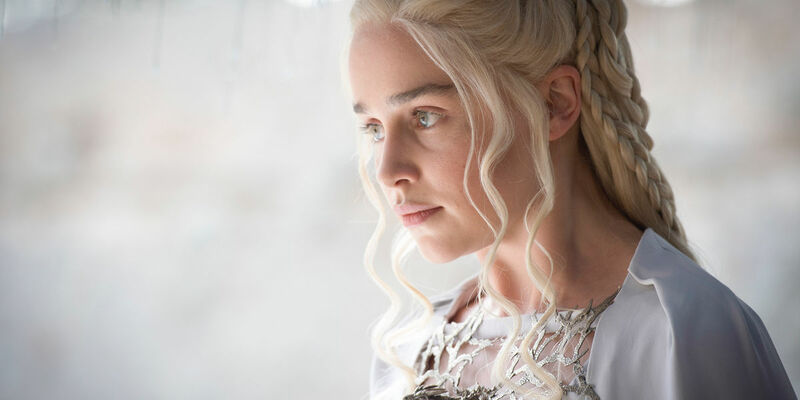 Following the Game of Thrones season 5 finale, Benioff, Weiss, Harrington and "Mother's Mercy" director David Nutter all insisted Jon is really, truly, very seriously dead. However, multiple theories have sprung up, including one that uses clues from season 5 to deduce Jon's true parentage, which may also hint at his fate in the entire series' ending. Additionally, Harrington will be absent from the Game of Thrones panel at San Diego Comic-Con despite previous actors appearing following their characters' deaths, adding fuel to the conspiracy theory fire. As for whether Clarke offers any validity to the fan theories, she doesn't add any new information - though she also don’t trot out the party line of “Jon Snow is definitely dead.” It's clear she has not been informed about Jon's fate on Game of Thrones and is simply adding her own opinion to the speculation as a fan of the series - she even jokes that if Jon is dead, it will be easier for Daenerys to claim the Iron Throne. That being said, the pool of people who are insisting Jon’s death will definitely stick seems to be getting smaller and smaller each day. Whether that is because the Lord Commander of the Night’s Watch will, in fact, return to the realm of the living on Game of Thrones remains to be seen. Next: Was The ‘Game Of Thrones’ Season Finale Cliffhanger What It Seemed? Game of Thrones returns to HBO in spring 2016.